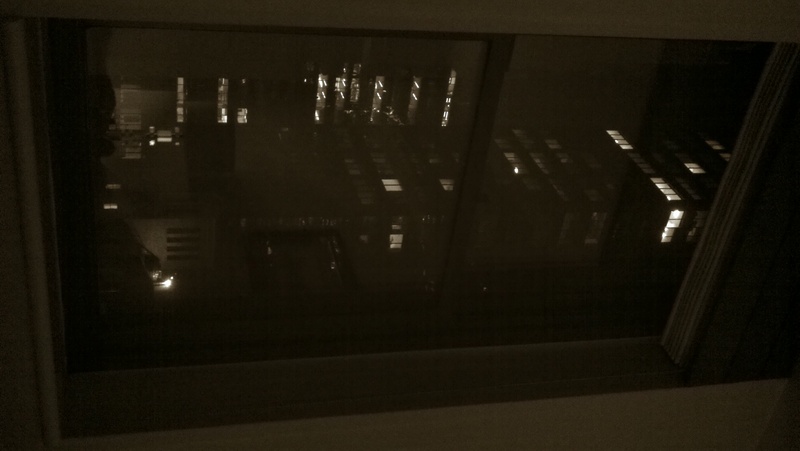 As I stare out of my window near midnight, I see the other side of the city. So many stories fill so many windows where humanity resides, even where shadows occupy vacant light. Along streets, random people, people so tiny from my viewpoint, walk not with distraction, but with a purpose all their own. Taxis hurrily slow then escape back into grids. Highrise offices break from consumption. A glowing skyline pulses to catch its breath, so that it can resume another vibrant day.